Why should your employees take this course? ✓ The principles for controlling manual handling risk and applying these to a practical situation. Attendees will receive an engaging training course from a passionate trainer, where all of the relevant knowledge will be imparted. A proof of attendance certificate will be provided on successful completion of the validation (consisting of a theory test and a practical observation). What type of Manual handling awareness courses are available? Abtac prides itself on ensuring that each private course we provide is tailored to your employees needs, ensuring that the course is as relevant as possible. The only way to fully ensure this is for your employees to attend a private course. 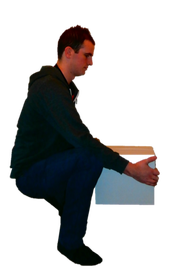 The course is a great way to improve manual handling awareness, especially for: managers, supervisors, and employees who don't perform significant manual handling (for example office workers), and as a refresher to those who have previously received a trainer led manual handling course. For more information. When open courses are available attendance costs £55 per person.